Honda is developing Smart Intersection technology that uses vehicle-to-everything technology to help reduce accidents. 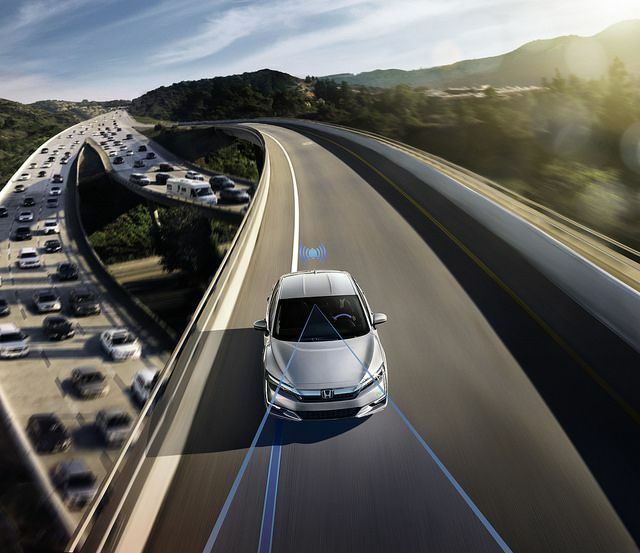 Using advanced connectivity, the technology connects the vehicle to objects and buildings around it to boost the efficacy of vehicle sensors. This is just the latest step in autonomous vehicle technologies, and Honda is leading the way. According to Honda, the Smart Intersection technology is also referred to as V2X, as this system lets vehicles recognize objects in the environment. Cameras can be mounted in intersections and then send that information to cars in the area, helping vehicle systems to see around buildings and in poor weather conditions. Even if you’re taking a blind corner, the V2X system can send you information to keep you prepared. Smart Intersection is yet another step forward by Honda to advance safety for all drivers. Though it won’t be available for some time, current generation models do benefit from the Honda Sensing® suite of driver assistive technologies. Learn more about it at Hardin County Honda.